BOScoin is a cryptocurrency that utilizes the blockchain and numerous new technologies to solve persistent issues in decentralized systems. provides secure and decidable transactions of contracts. into a more robust ecosystem. New coins are issued in four ways; Initial Development Budget(0.5bil, 10%), confirmation rewards(1.8bil, 36%), freezing rewards(0.9bil, 18%) and the Commons Budget(1.8bil, 36%). We aim to issue a total of 5.0 billion coins over the next 100 years. These values are subject to change. ICO will start on April 17th 2017 and will last 45 days until May 31st 2017. In total 276,093,688.786 coins will be distributed. Decentralized systems lack a systematic decision making process. BOScoin constitutes a governance system whereby node operators referred to as the Congress Network can participate in creating and voting on proposals in order to continuously improve the software and ecosystem. The Congress Network interacts with non-congress users in three ways ; transactions, proposals and coin freezing. OWL and TAL to expand expressive power while retaining decidability to support secure and precise execution of contracts. BOScoin aims to use the Owlchain technology which consists of the Web Ontology Language(OWL) and Timed Automata Language(TAL). This architecture is designed to expand expressive power while retaining decidability to support secure and precise execution of contracts. These Owlchain based contracts on the BOScoin blockchain are called Trust Contracts. Decentralized currencies in many cases tend to become speculative islands with limited real applications. As we believe the value of a currency is intrinsically tied to how useful it is, the BOScoin team will release the coin with two ready-made apps that use BOScoin. The applications Stardaq and Delicracy have already been built and will not only increase the transactional value of the coin, but will also help acquire new users. 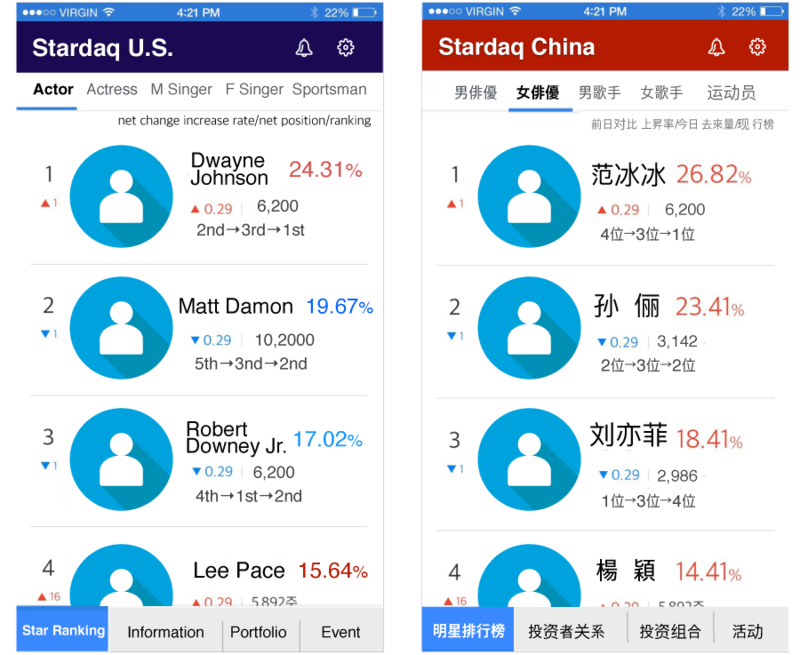 Stardaq is an international celebrity popularity prediction market. A celebrity’s popularity is represented as an index and users can place bets on whether the popularity of the celebrity will rise or fall. The bets can only be placed with BOScoins. Delicracy is a collective decision making tool that can be implemented in any organization. All users can participate in the decision-making process by placing bets on a set of proposals, similar to the Augur prediction market. The proposal with the most bets is passed. This type of system can help promote transparency and participation for decision-making processes in organizations large and small. These applications serve as outlets to spend BOScoins and also serve as channels for Airdropping free coins. Appropriately using these tools can help grow the ecosystem by introducing new users. Since then developers will be free to join and additional services will be created. Cryptocurrencies are a classic two-sided market, also known as a platform market. Two-sided markets are economic platforms that have two distinct user groups that provide the other with network benefits. For example, auction markets are two-sided. You require sellers that offer goods, and buyers that wish to purchase the goods. Sellers will prefer a large number of buyers while buyers will prefer a large number of sellers. Separate user groups effect the other group positively. This kind of mechanism is called a positive cross-side network effect. Similar to a marketplace platform, cryptocurrencies also require the on-boarding of both the merchants and consumers. Merchants have to accept the coin and consumers to have the coin. However, cryptocurrencies face a collective problem : growth is slow on either side. Slow growth in two-sided markets is nothing new. These markets are notoriously difficult to get started. Although once these platforms pass a certain threshold, their hold on the market is extremely difficult to overtake. We can see this through the resilience of marketplaces like Craigslist and software platforms like Windows or Linux. Credit cards are another example of a two-sided market which faced a similar problem. Before 1958 there were no general credit cards that were accepted by a large enough number of merchants. This meant consumers didn’t really have any incentive to use one a bank had issued. To solve the chicken or the egg problem, Bank of America decided to send 60,000 credit cards to the residents of Fresno, California at once. Due to the rapid adoption rates of consumers as well as merchants, within a month one million cards were sent out. This is now referred to as the “Fresno Drop”. The Bank of America credit card eventually became Visa and continues to dominate the credit card market to this day. In two-sided markets, the platform provider must optimize the price levels, price structures, and investment strategies to kick-start market. Only then, can the platform get both parties on board. Bank of America decided to strategically subsidize the consumer side first, which was crucial in catalyzing the adoption of credit cards. Cryptocurrencies have one more aspect that increases the complexity of achieving network effects. The supplier of the platform is not centralized. The supplier of the platform on which merchants and consumers interact, is decentralized. This makes it difficult to agree on developing strategies to develop the ecosystem as whole and eventually just leads to a free-for-all of short term incentives. BOScoin aims to overcome these issues through the Congress Network and the Commons Budget features. The Congress Network is a decision making body within the BOScoin network. And anyone who contributes to the network by being a node operator will be given a voting right. Through this Congress Network feature, BOScoin ensures that core platform software will be updated and modified with long-term strategy selected through voting system, most likely about improving adoption rate at the beginning, whereas bitcoin still debates on block size. Not only the ecosystem itself, BOScoin can also promote adoption through the usage of Commons Budget. Out of the total 5 billion BOScoin that are issued, 1.8 billion BOS are issued as the Commons Budget. When converted to the ICO price, the Commons Budget is worth roughly 13.8 million US dollars. Anyone can submit their idea, gather votes, and receive kickstarter funding from Commons Budget to develop the project and attract end-users. 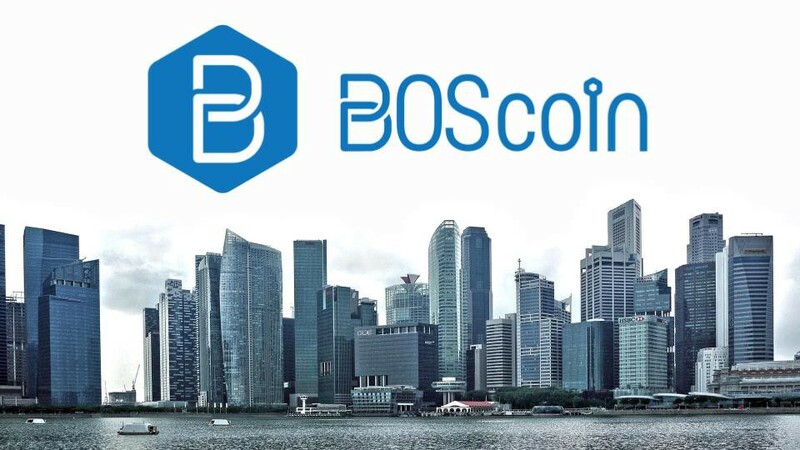 With these features of BOScoin, it is conceivable that agreement on developing strategies for ecosystem will be made in right time, and adoption rate will be quickly increased through attractive applications on top of secure protocol. In the next post, I will cover the details on how the proposal system works. Many decentralized organizations suffer from decision making issues. We believe that decision making should be fair and efficient. Getting the consensus component right is crucial to our BOScoin framework in order to operate in a decentralized commune manner. At BOScoin, we believe all users have a voice. Which is why we have a proposal system which forms the governance of how BOScoin operates and provides a medium for anyone to propose ideas to the community relating to the betterment of the BOScoin ecosystem. If accepted, BOScoin from the Commons Budget may be provided to the proposer at regular installments. The release of the installments will be based on a consensus voting regime. Significant Financing Proposals : Proposals that intend to spend more than 1,000,000 BOS (25 BTC at ICO price). Significant System Proposal : Proposals that wish to change the BOScoin system. Once a Significant System Proposal is passed, the contents of the proposal can be immediately applied to the system through an update of ontologies. Examples may include changes to Transaction fees, voting conditions, and coin freezing interest. Basic Proposals : all other proposals from the above. Examples may include: application development using the BOScoin platform or marketing pursuits to promote the coin. Significant proposals will require an initial deposit which will be returned upon cessation of the proposal. 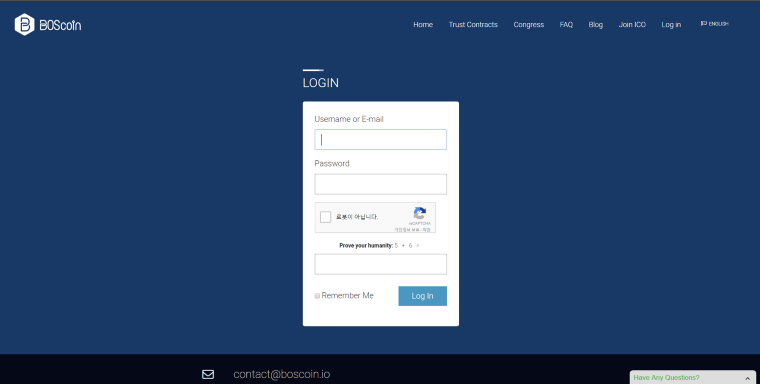 The proposal will utilize the Trust Contract functionality on the BOScoin system which certain inputs will be mandatory to guarantee the proposal (e.g. project milestones). There are three options to vote for against a proposal: agree, reject and neutral. For Basic Proposals, voting is not mandatory, however for any Significant Proposal, a vote is required for every node – if this is not met, the frozen coins of that node will be released, the Congress member will revert back to a non-node operator status, and the user will not be able to freeze coins for a two week period. A discussion board will also be created to facilitate the Congress members with their vote. Can you vote more than once? Yes – each node constitutes of one voting privilege, on the assumption that they are a member of the Congress Network; however it is important to note that for each additional node a Congress Member has, the returns are reduced. Security and trust is key at BOScoin and the proposal process should not differ. Once a proposal is finalized and agreed upon, the release of ongoing fund installments supporting the proposal will be included in the next voting cycle, and so on. The end of a proposal funding is determined by either the proposal end date (automatic cessation from the Trust Contract function), or a consensus from the votes to stop the monthly installments. This protects the Common Budget fund to ensure the consensus is happy that progress is made on the proposal (a discussion board will facilitate this). In the end, everyone can be a part of the ecosystem! The consensus mechanism is the essence of blockchain. Generally, the consensus mechanism works when the blockchain confirms transactions and makes the blocks. Bitcoin confirms the data when the data is recorded by 51% of the mining nodes participating in the current Bitcoin network. Bitcoin adopts a majority consensus. Many public blockchain have consensus mechnanisms. We’ll discuss the different types of consensus mechanism later in the essay. The exit, modification of logic and policies implemented in blockchain, is one major conflict arising in the consensus. While Bitcoin developers have worked on improving the performance of Bitcoin for years, developers have yet to reach consensus.One primary example of a consensus conflict is the “hard fork” of Bitcoin, where the birth of two Bitcoins and the division of the Bitcoin community is taking place. Ethereum underwent a similar problem. In the DAO incident, the Ethereum Foundation used hardforking as a last resort. However, Ethereum failed to establish a complete consensus, resulting in a split between “Ethereum” and “Ethereum Classic”. Hardforking proceeded without any consent rules on consensus in advance, so the community had to be split. The Bitcoin and Ethereum hard forks shows the importance of a consensus mechanism in the blockchain ecosystem. If these kind of accidents continue to occur, the credibility of blockchain and the entire cryptocurrency ecosystem would decline. The fundamental cause of consensus conflicts is not because Bitcoin or Ethereum are fundamentally flawed, but rather that blockchain is an emergent technology in it’s infancy. Bitcoin and Ethereum have succeeded in their own right, but they have not been able to predict how to operate after their success. Most existing blockchain projects, including Bitcoin/Ethereum, have no clear rules to define: how operational issues are agreed upon, new functionalities are added, and policy are reviewed. Even if cryptocurrencies become more established, there will always be: errors in the code itself, incomplete initial design, and policies that need to be modified according to contemporary market requirements. If there are no consensus guidelines set beforehand, consensus conflicts will continue to occur. Therefore, we need to design a governance system for the blockchain itself. We need two kinds of consensus systems in blockchain: one is for data the other is for blockchain itself. We need two kinds of consensus systems in blockchain: one is for data the other for blockchain itself. Recently, new blockchains equipped with built in governance system tried to cope with this problem. Dash is the forerunner to implement governance system in their blockchain. Dash, who call themselves as the “First Self Governing, Self Funding Protocol”,proposed a decentralized management system based on the masternode voting mechanism in 2015. Dash has been steadily developed using this governance system. Recently the price of Dash surpassed over $100 (March 16th, 2017). A stable governance structure may be the reason for the increased value. More and more recent cryptocurrencies have governance systems. Qtum, a Chinese cryptocurrency, has governance system named the “Judgement Committee”. Dfinity and Tezos also have governance systems. Needless to say BOScoin has a governance system as well. Firstly, whether the governance system is bonded systematically with blockchain or not. Secondly, whether the new version or policy is applied automatically or manually. These features are important as blockchain should be accurate and immutable. If the governance system stops working in the blockchain, there is a possibility that decisions made would not be applied. Also if the update program/policy is not automatic, there would be discrepancy between the old and new version. If the software is dependent on humans for updates, there is a chance a biased human-operator may not implement the new update entirely. If the new version contains crucial function/policies, the delay/denial of program updates may cause the split of blockchain and community (i.e hardforking) similar like the Ethereum. Dash has no auto-updating function so have a penalty policy to urge the masternode to maintain the latest program. For example, suppose we’re going to change the transaction fee fixed from 0.01 coin to 0.001 coins. If the changed transaction fee is not applied in time, transactions cannot be confirmed because of the different fee of each node. So it’s important to have the governance system and auto updating function built in the blockchain. Three cryptocurrencies Dfinity, Tezos and BOScoin are equipped with built in governance and auto updating system. Dfinity proposes BNS(Blockchain Nervous System), a kind of AI. The BNS has absolute control over the network such as freezing, unfreezing, and modifying otherwise independent software objects (smart contracts). The BNS can also configure the DFINITY client software run by users, for example to make the users upgrade to a new version of the network protocol. TheTezos Team state they implemented voting rights from the start with a built-in consensus mechanism. So upgrades are seamlessly integrated into the protocol, with complete transparency. BOScoin suggests a Congress Networkwhich can handle the distribution of Commons Budget and the modification of codes/policies implemented in blockchain. The Congress is a governance body inside the BOScoin platform. Full node operators are given a vote to decide on how to distribute the Commons Budget and decide whether to modify the existing codes/policies. 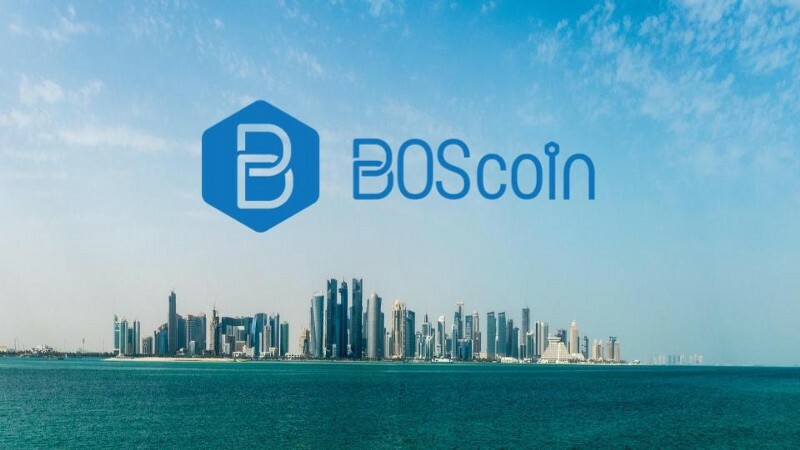 For example, the transaction fee is currently fixed at 0.01BOS, which can be burdensome someday if the price of the BOScoin is raised or the BOScoin is used for micropayments. In this case, the BOSCoin Congress Network will vote on the agenda to change the transaction fee. If the agenda is approved, the new version will be updated automatically to the nodes and the new policy will be activated automatically at a predetermined block height. If these system are implemented in blockchain, the blockchain can adjust and evolve itself according to the contemporary environment. It these systems work successfully, we can build a true DAO(Decentralized Autonomous Organization) self-governing community which is the dream of blockchain enthusiasts. I believe these kinds of democratic systems are the key to sustaining and growing the cryptocurrency ecosystem. Cryptocurrencies equipped with a governance structure will be the next wave of blockchain technology. BOScoin is establishing a non-profit foundation called the “BOScoin Platform Foundation”. There are two main benefits from having a foundation. Firstly, the foundation supports the development and promotion of the BOScoin Platform and distributed technologies. Secondly, the foundation provides crucial legal/financial safeguards for the fundraising event and daily operations of the organization. START: The ICO date has been delayed from “April 17, 2017” to“May 10, 2017”. DURATION: The ICO will be carried out from “May 10, 2017” to “June 20, 2017”. BlockchainOS has engaged EYC3, EY’s Asia-Pacific data and analytics capability, to support development of the BOScoin cryptocurrency. EY’s footprint across 150 countries, their global experience in blockchain and cryptocurrency coupled with their leading data and analytics capabilities are critical to the strategy behind the platform. “EY is very excited to support BlockchainOS and sees a very strong potential in blockchain technology for both consumers and businesses.” Gwang Rim Yi, Partner for EYC3 Seoul office. EY will utilise their expertise in the governance realm, drawing from their wide range of experience it has from working with global enterprises and applying it to the BOScoin platform’s self-evolving governance system. Most recently BlockchainOS presented the BOScoin platform concept at meetups in Berlin and London, answering questions from the wider community on various interest areas including technical, architecture and design; to applications, operations and governance. BOScoin is a self-evolving cryptocurrency platform for Trust Contracts. Trust Contracts are self-executing programs on the blockchain similar to smart contracts. BOScoin Trust Contracts provide the foundations for a secure, self-evolving system where non-technical users can also create immutable and shareable contracts on the blockchain. With US$3 million raised from pre-ICO funding, the official ICO — scheduled to commence in a month’s time –invites the public to participate in the international cryptocurrency platform. Thanks for participating in the BOScoin Bounty Program so far. We received over 530 applications within a week! We were overwhelmed by the high caliber applications and we’re now ready to present an initial view of the public Bounty tracker to you! Please note, in order to track the BOS earned during the bounty program, you will need to include your Slack username in the application form — if you have yet to set one up, please feel free to email us your slack user name and we can include it into your application for you to track your BOS earned in the future (we will not advertise your email in the tracker). We’re in the process of updating the Facebook activities (page like and activity like/share/comment), and Twitter columns as well. Here’s the BOScoin Public Bounty Tracker (until now). We aim to update the sheet on a weekly basis (Fridays). The BOScoin Dashboard is now open! 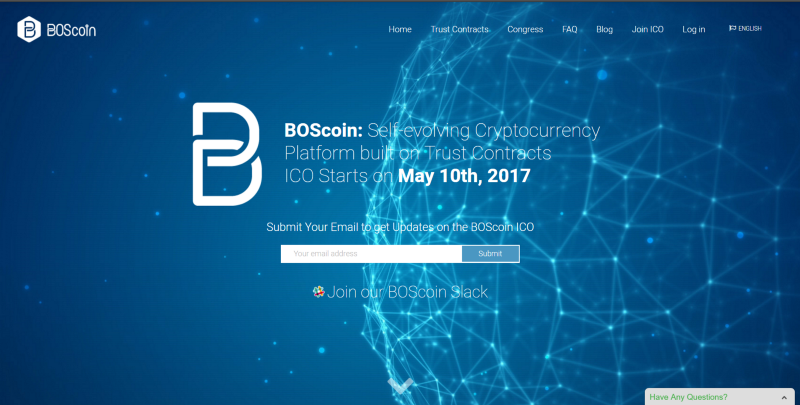 The BOScoin ICO starts on (May 10, 2017). BOScoin is having a LIVE interview with “Coin Interview”. Coin Interview is renowned for their “Hard Hitting Crypto Interviews”. In the past, Coin Interview has had sessions with various major cryptocurrencies including: TaaS, WeTrust, Augur, Lykke, and ChronoBank. Han Park (COO) will discuss core BOScoin features with Evan, Christian, and Alex (Coin Interview). There are so many advantages cryptocurrencies can bring to our life. Some cryptocoins can be used solely for financial transactions, some others can be used to play online games. We also have heard some digital coins, like Ethereum for example, that can be used to make contract that is famously used as Smart Contract. If you like the idea of arranging a contract with cryptocoin but you want something more than what Smart Contract can offer, you definitely can try using BOScoin. BOScoin is a new cryptocurrency platform that will provide you all the benefits of Smart Contract, but along with something more attractive. Here are some things you need to know about this cryptocurrency. BOScoin is having it’s first “Demo Day” event! The event will be held on May 2, 2017 (8 days before the ICO starts). Overall introduction to BOScoin. BOScoin is a self-evolving cryptocurrency platform. Marketing progress: overall traffic, ICO Dashboard members, newsletter subscribers, and Slack members. Introduce the first BOScoin based application “Stardaq”. Stardaq is an international celebrity popularity prediction market. Explain detailed mechanics of Trust Contract(Smart Contracts) and the Congress Network. Present blockchain-based cryptocurrency BOScoin demo. Present decentralized real-estate app on the BOScoin blockchain demo. Changki Park, a serial entrepreneur with a experience in number of IT companies. He founded Paxnet, Inc., one of the largest securities information portals in Korea. Yezune Choi, a top tier professional in blockchain Technology. His 20 years of software development experience and 5 years of blockchain development experience. He developed and operated a local currency based on lite-coin. In Hwan Kim,a marketer with 32 years of experience. He has developed various business models in the online field and has created many leading brands. He is the project lead for the celebrity prediction market service “STARDAQ”. Han Park, studied Economics at the London School of Economics. He started his career developing complex and security-sensitive banking applications for several major banks and moved on to EY where he worked as an advanced data analytics consultant. 1. Can I participate before the fundraiser? 2. Is the fundraiser first-come-first-serve? Yes, the ICO will end when the targeted budget is met. If the total amount exceeds the targeted budget, we’ll provide refunds. The ICO is a first-come-first-service, it’s more of an advantage to participate early on. 3. How can I participate in thefundraiser? Send Bitcoin to your unique BOScoin address. The BOScoin address will be shown once the fundraiser starts. 4. Which cryptocurrency can I participate with? You can only participate with Bitcoin. 5. How can I get Bitcoin? 6. How can I get free BOScoin? 7. What is the minimum contribution amount? 8. Is there an upper limit to contributions? No, there is no upper limit. 9. What is the fundraiser exchange rate? 10. What is the expected value of BOScoin after the fundraiser? We cannot predict the value in advance. The value is determined how the market evaluates BOScoin. 11. Can you mine BOScoin similar to Bitcoin? No, BOScoin is based on mFBA(Modified Federated Byzantine Agreements) which distributes coins similar to POS(Proof-of-Stake), which has no mining. 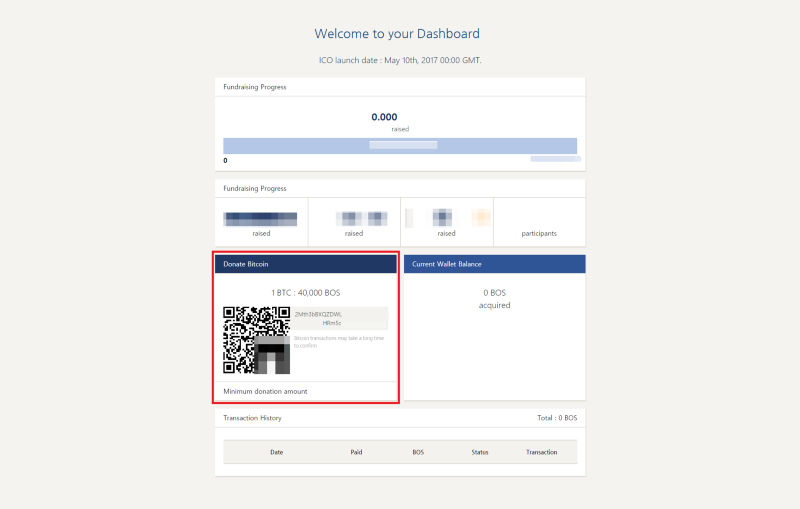 Users who run the BOScoin blockchain Node will get freezing and confirmation rewards. 12. How can I run a BOScoin node? You need to deposit at least 40,000 BOScoin and run a computer with a stable Internet connection. You must also participate in the BOScoin governance system. Every BOScoin policy will be decided through the governance system. 13. When will BOScoin be listed on exchanges? Currently, we don’t have anything defined. We will publish an announcement when BOScoin is listed on exchanges. BOScoin had its Demo Day on May 2, 2017! The even was swamped with journalists from major broadcasts and over 200 attendees. The Demo Day even was divided into 3 parts. A general introduction of BOScoin, a technical demo of BOScoin Trust Contracts, and an overview of the BOScoin marketing. We attached a YouTube LIVE clip for the English tech demo, presenting how BOScoin Trust Contracts work. Thanks for participating in the “BOScoin Bounty Program”. Over hundreds of applicants have joined the program. Currently, we’re updating the “Public Bounty Tracker” every Friday. However, in order to better focus on the “BOScoin Fundraising Event” (May 10th, 2017) we’re going to postpone updating the “Public Bounty Tracker” until AFTER the fundraiser ends. The “BOScoin Bounty Program” will continue, it’s just that the “Public Bounty Tracker” updates are delayed. Your bounty progress will appear on the BOScoin Dashboard after the fundraiser ends. The Pre-Fundraiser was conducted during the period of Nov, 2016 to Jan, 2017 and successfully finished its $3M funding round. The Pre-Fundraiser was a global fundraising event and was processed through the former website (migrated to our current website) and Reddit page. Funds were anonymously contributed from all around the world. A considerable portion of the fund may have come from South Korea. The Pre-Fundraiser was unsystematic and manual. Contributors were able to participate with their personal email through personalized BTC addresses. 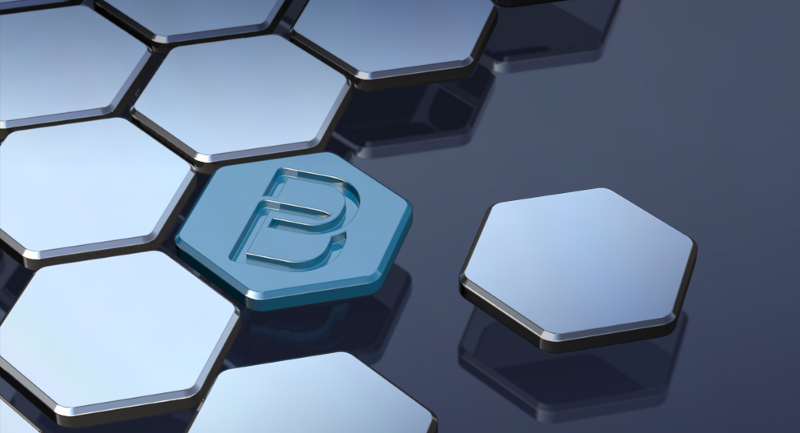 The BOScoin team uses multiple of BTC addresses, rather than one unified address, for security purposes. The Pre-Fundraiser token exchange rate for 1 BTC was 50,000 BOS in Dec, 2016 and 45,000 BOS in Jan, 2017. The Fundraiser token exchange rate will be 1 BTC for 40,000 BOS starting on May 10th, 2017. The below is the BTC addresses that have been used for Pre-Fundraiser. *2,815.425 BTC in total has been raised during Pre-Fundraiser, 26.8% of the total issuance at the genesis block (roughly equivalent to $3M at the currency rate of the moment). MME : Establishment of Foundation in Switzerland, which provides legal advisory services regarding fundraiser and operations related to blockchain technology. Incorporation : BOS Platform Foundation, BlockchainOS, Stardaq, and Governtech. Salaries : 19 employees and 2 advisers. This document describes the progress we made over the past year and the plans for future. 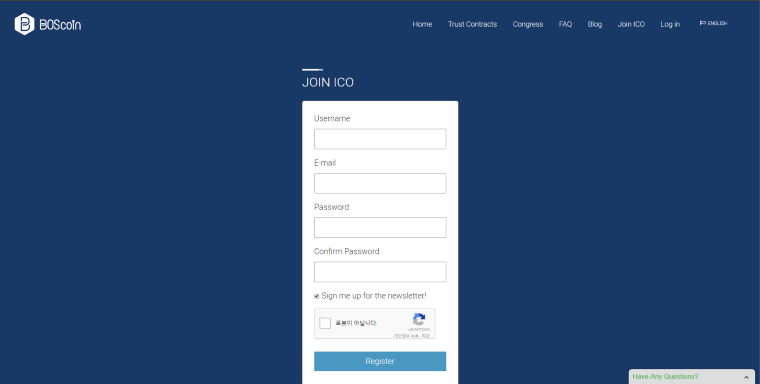 The BOScoin Platform is a decentralized self-evolving cryptocurrency built on “Trust Contracts” and an embedded decision making system called the “Congress Network”. (1) Trust Contracts are securely executable contracts based on a protocol layer called the Owlchain Protocol. Trust Contracts aim to overcome the issues regarding non-decidable smart contracts by using a more contained and comprehensible programming framework which provides secure and decidable transactions of contracts. (2) The Congress Network is the decision making body in the BOScoin platform which solves governance issues arising in decentralized organizations. Through a clearly defined and automated governance system, we aim to continuously develop the community and software into a more anti-fragile ecosystem. The BOS Platform Foundation(BPF), a non-profit foundation in Zug Switzerland, is the entity that supports the BOScoin project and manages the fund for projects budgets. The BOScoin Fundraiser will be conducted under this foundation. BPF will fund the project to achieve its milestones, build the decentralized ecosystem around, and nurture the community around world. BlockchainOS(BOS) is a for-profit company based in South Korea that delivers the BOScoin development and builds potential businesses on top of the BOScoin platform. BOS, as the first proposer of this project, will develop the platform and ontology protocol so that anyone can utilize the protocol without any limitation. BOS also has a plan to set up research centers in several cities (e.g. SF in USA or London in England) and bring great developers into BOScoin projects to work globally. Stardaq is a for-profit company that is incorporated in South Korea and also the name of the application service on top of the BOScoin platform. Stardaq is a prediction market where people can bet on public figures by setting a long or short position. This service will use Stardaq Dollars which will be proportionally convertible with BOScoin tokens. It has a goal to be a service that has one-hundred-million active users.. Stardaq has tested its mobile application alpha version and will launch a service globally first in English, Chinese, and Korean. Delicracy, short for Deliberative Democracy, is a collective decision making tool where people, politicians, or market researchers can conduct surveys to get reliable statistical and qualitative results. This tool works by placing bets on a set of proposals. This type of system can help promote transparency and participation for decision-making processes in organizations large and small. The above three organization will support the BOS Platform Foundation(BPF) at the initial stage to bootstrap the ecosystem and increase the value of the network. While BPF focuses on delivering the promised developments and milestone as well as increasing the value of the network. Independent project proposals that contribute to the ecosystem will also be given the opportunity to get voted on Congress and funded by Commons Budget if passed. Before the Commons Budget becomes an effective self-funding and catalyzing function of the BOS ecosystem, funds are required to kickstart both the development and proliferation of the platform. Equally important is the usage of the tokens on the network. In order to grow the usage of the token, consumer-facing applications are developed and deployed with the blockchain. Applications are also supported by the funds raised from the fundraisers. There are two fundraising events for this project: the Pre-Fundraiser event and the Fundraiser event. Pre-Fundraiser was carried out from November 2016 to January 2017. We raised 2815.425 BTC which makes up 26.8% of the Genesis state. Further details regarding the Pre-Fundraiser can be found in our post, Pre-Fundraiser Results. The Fundraiser will be carried out from the 10th of May 2017 to the 20th of June 2017. We are aiming to raise 6,902.342 BTC which will make up 55.2% of the Genesis state. Through our Fundraiser we hope to get a diverse range of users involved in the community. We have modularized the development of the platform into five parts. You can follow the development progress on Github. Consensus Development : After looking through and testing several consensus protocols, the development team decided to go with a modified version of the Federated Byzantine Agreement algorithm which delivers +1,000 transactions per second and flexibility with the number of nodes. The consensus algorithm will be implemented in steps. The first implementation will be applied without the incentive mechanism in M1 — Alpha. The mFBA or modified FBA will be applied for M2 — Genesis block. Inference Engine/TAL Development : The inference engine and ontology integration was carried out earlier than expected in the previous milestones. For the M1 — Alpha, the formal specification for the inference engine will be released. At M2 — Genesis block, the inference engine and reasoner will be integrated to the blockchain. Ontology Development : Basic ontologies and financial ontologies will be imported into the network and ontologies specific to cryptocurrencies will have be to developed. These ontologies will need to be tested and converted for the BOS Platform. At M2 — Genesis block, basic ontologies will be imported into the network for users to use. Governance Development : Governance development will be targeted for M3 and M4. Wallets : Web wallets will be developed for year 1. Blockchain Explorer : A graphical user interface and APIs to navigate the BOS Platform network, including the status of nodes, Trust Contracts, the performance of transactions, etc. Governance Forum : A basic forum for the community to discuss issues regarding the BOS platform will be developed. Stardaq : Conceptualization, designing architecture, setting up infrastructure, development, testing and releasing the product along with the Genesis block is the plan for year-1. Stardaq is currently undergoing a re-design and further internal testing. Delicracy : Similarly to Stardaq conceptualization, designing architecture, setting up infrastructure, development, testing and releasing the product along with the Genesis block is the plan for year 1. Delicracy is currently being tested in political parties in within South Korea. Preliminary activities for developing the community has been carried out, but has mainly been focused in South Korea. We have running weekly meetups in Seoul and intend to expand developer and business meetups throughout major cities in Korea. This year we participated in global blockchain meetups such as the Berlin Blockchain Meetup and meetups in London such as the London Blockchain Meetup and the Coinscrum Meetup. Later in the year we are planning to visit other cities around the world to develop a network of blockchain enthusiasts. Consensus Development : In year two, the mFBA algorithm will have to be optimized for speed. There will be further development of creating and running efficient quorums to sustain high transaction speeds. Inference Engine/TAL Development : The inference engine which is where the processing of Trust Contracts happen will need constant updates and optimization for speed. The focus for year two will be to process more complex Trust Contracts. Ontology Development : More complex ontologies will be added to the network as well as the testing of interdependence of ontologies. Governance Development : Proposals and voting will be fully operational in year two. The main focus will be blockchain-based proposals and the automated application of systems proposals. Wallets : Android and iOS SPV wallets will be released. Blockchain Explorer : Further development of APIs and expansion of features. Governance Forum : Expansion of features of forum and closer integration with BOS network. Stardaq : Development towards market fit will be continued into year two. The main focus for year 2 is Globalizing the service. Delicracy : Delicracy will be aimed towards larger organizations as well as sets of organizations. Globalization will also be an important part of the agenda. Community Proposed Application #1 : Additional applications to promote the usage of BOScoins will be supported by the Foundation. From year 2, the BOS Platform Foundation will officially start to develop developer communities abroad. Start and operate communities in major blockchain hubs such as (but not excluded to) London, Berlin, New York, San Francisco, Seoul, Tokyo, and Shanghai. Community Events and Support : funding for meetups around the world and particular events, such as in (but not excluded to) San Francisco, Toronto, New York, Berlin, and Seoul, where many of our developers and community are based. Blockchain Platform : Development will be focused on scalability and speed for the application of Trust Contracts in enterprise-level environments. Additional services to support the Platform will be supported. Enterprise applications will be actively supported. The BOS Platform Foundation will focus on blockchain based government projects and large enterprise projects. Application of Trust Contracts in real businesses will be the core focus. Professional and business communities will be promoted. Blockchain Platform : For year four, the focus of the development will shift to transitioning to a more open project with greater participation from the community. Blockchain Explorer & Governance Forum : Transition towards being more community managed. 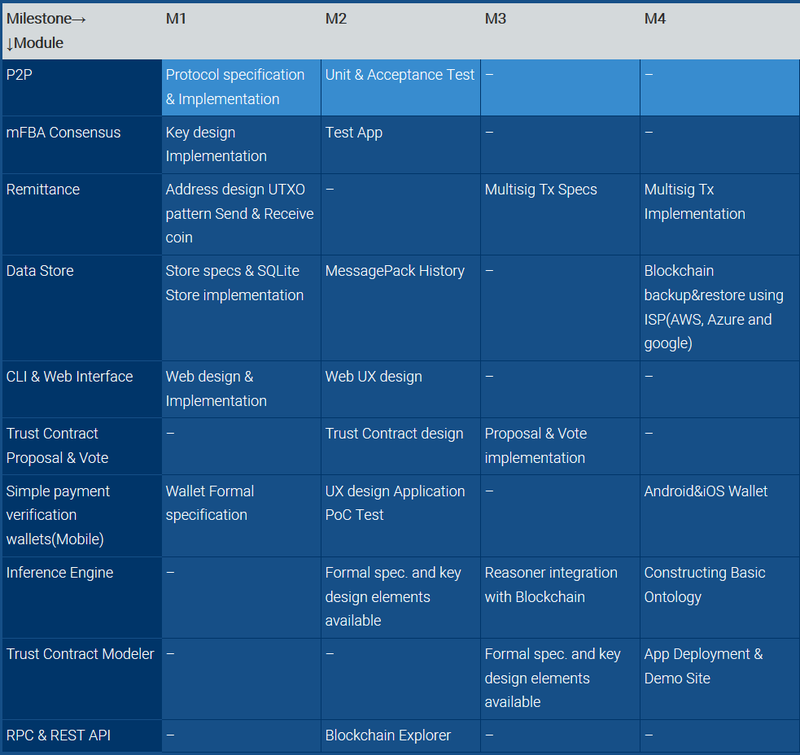 Application development will be supported from the BOS Platform but there will a transition towards self-funding and community proposed development and marketing of applications. BOScoin is designed to be evolve according to contemporary needs. BOScoin announces its Fundraiser for its self-evolving cryptocurrency platform. 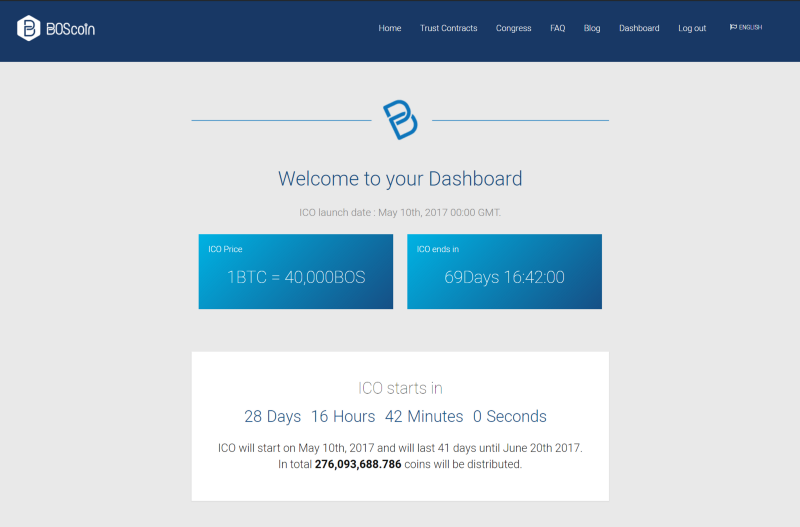 The BOScoin Fundraiser starts on May 10th, 2017 (GMT). The Fundraiser will last for 41 days. In total, 276,093,688.786 BOScoins will be distributed. During the Fundraiser, participants can exchange 1 Bitcoin for 40,000 BOScoin. Through this Fundraiser, the BOS Platform aims to raise over $10 million USD. Prior, on November 2016, BOScoin raised $3 million USD through their Pre-Fundraiser. BOScoin aims to create a self-evolving cryptocurrency platform. With recent technological advances in genetic engineering, artificial intelligence, and quantum computers, it’s even difficult to predict the next 5 years. BOScoin aims to create a cryptocurrency adaptable in every environment. Changki Park (CEO) founded the largest financial information portal in Korea, Paxnet, worked at Samsung for 14 years, and is the former head of the Financial Engineering Research Center at the State University of New York’s Korean campus. “BOScoin is the first blockchain-based cryptocurrency that is designed to evolve. The embedded funding system and voting solution make BOScoin fit for every environment,” said Changki Park, BOScoin CEO. BOScoin demonstrated Trust Contracts on their Demo Day. The event was filled with journalists from major broadcasting studios, alongside over 200 attendees. A general overview of BOScoin, a technical demo of Trust Contracts, and the current marketing progress was presented. BOScoin is managed by the BOS Platform Foundation, a non-profit organization in Switzerland. Cosmos (https://cosmos.network), who is creating the Internet of Blockchains, and the self-evolving cryptocurrency platform BOScoin (https://boscoin.io), have just signed a strategic partnership agreement. 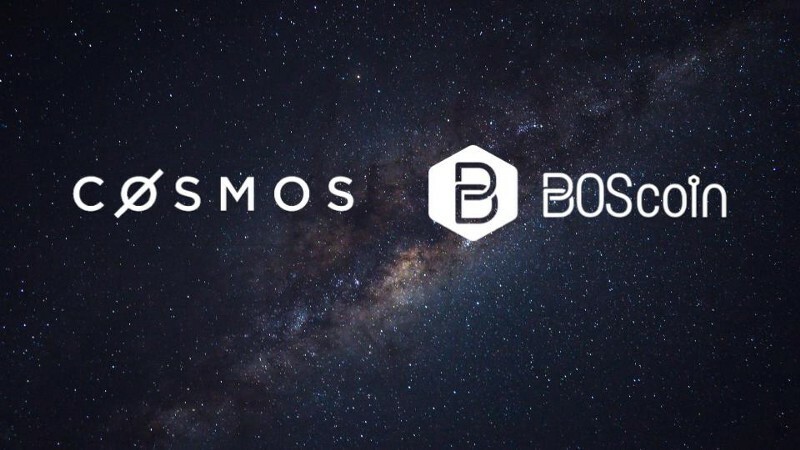 Cosmos and BOScoin will share resources, conduct research on blockchain technologies, and help expand the overall blockchain network. Cosmos aims to create a network of distributed ledgers. The Cosmos network will solve various persistent problems in the blockchain ecosystem, including proof-of-stake, scalability, and interoperability of chains. The Cosmos network is comprised of independent parallel blockchains called zones. Each zone is powered by the Tendermint Byzantine fault-tolerant (BFT) and consensus algorithm, with Cosmos as the underlying network that connects them together. Jae Kwon is a founder of Cosmos and a director of the Interchain Foundation, which recently concluded a fundraiser for Cosmos. Jae is also the creator of Tendermint, a consensus engine that secures distributed ledgers without the need for wasteful proof-of-work energy expenditure. It’s impossible to predict the future, which is why BOScoin aims to create a self-evolving cryptocurrency platform. BOScoin utilizes executable smart contracts called “Trust Contracts” and has a decision-making body called the “Congress Network” to ensure perpetual adaptation. The BOScoin Fundraiser starts on May 10th, 2017 (GMT). The Fundraiser will last for 41 days. Overall 276,093,688.786 BOScoins will be distributed.